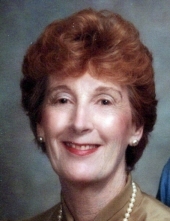 Catherine Eileen (Draycott) Kircher, 95, of Pleasant Hill, Missouri, was born, April 29, 1923, in Preston, England, the daughter of James and Sarah (Nickson) Draycott. She departed this life, Friday, March 29, 2019, at her home surrounded with love and family after a long illness. Visitation will be held 5:00 to 7:00 p.m. Tuesday, April 2, 2019, at the Stanley-Dickey Funeral Home, Pleasant Hill, Missouri. Funeral services will be held 10:00 a.m. Wednesday, April 3, 2019, at the funeral home. Reverend D. Kent Deubner will officiate. Interment will be in the Pleasant Hill Cemetery. To plant a tree in memory of Catherine Eileen Kircher, please visit our Tribute Store. "Email Address" would like to share the life celebration of Catherine Eileen Kircher. Click on the "link" to go to share a favorite memory or leave a condolence message for the family.